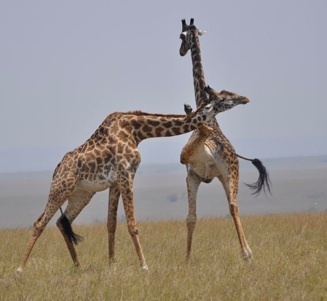 I saw the most amazing fight between two giraffes on my last trip to the Maasai Mara. 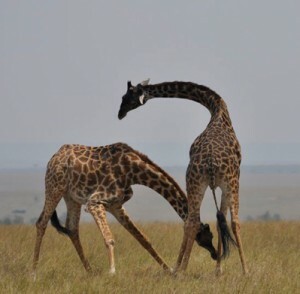 The younger giraffe hooked its horns around the older giraffe’s leg and lifted it up in the air. Ouch! It must have been painful. 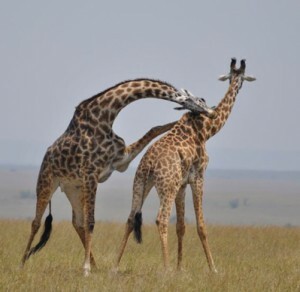 The fight lasted for over half and hour but the older giraffe didn’t run away. He just stayed there and let the younger one attack him again and again. 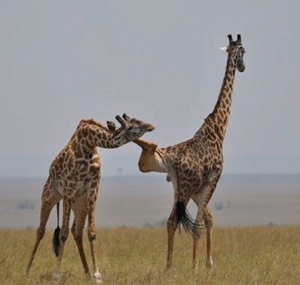 My guide thought the older giraffe might have been giving the younger one a lesson. 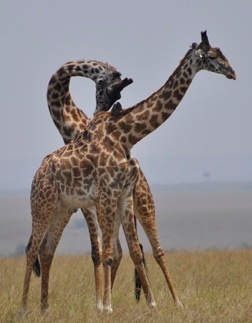 To see giraffes in action, check out Gerry the Giraffe.